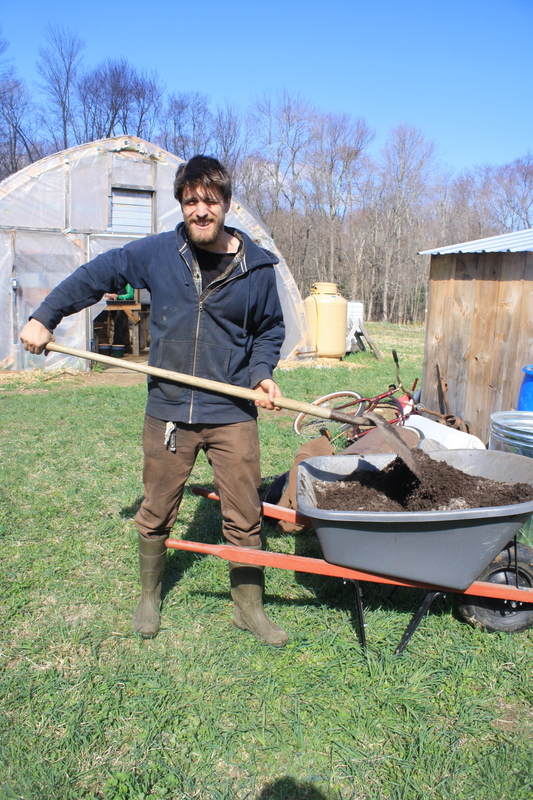 Ryan Karb, co-founder of Many Hands Farm Corps. It’s no secret that the number of young farmers is increasing. Be it the influence of authors such as Michael Pollan, Barbara Kingsolver, and Jonathan Safran Foer, the desire to escape the mundaneness of the daily grind depicted by re-runs of “The Office,” or simply a longing to connect back to the earth– young people across the country are becoming more and more interested in agriculture. The New York Times even recently featured an article that showcased this new phenomenon of twenty-somethings getting their hands dirty in the field. The five crew leaders at Many Hands Farm Corps, in Amherst, Massachusetts have taken young farming to a whole new level. The farm, established in 2011, was the result of co-founder Ryan Karb’s dream to create a farm-based educational program, while also providing delicious food to the local community. This dream took shape after Ryan, a graduate of the UMass Plant and Soil Science Program, met Eric Day and George Daniel Vest while leading trail programs in the Northwest. The young trio combined their experience working and managing farms and CSA programs, leadership and business skills, and overall passion for creating meaningful work, and started Many Hands Farms Corps in farming community of the Pioneer Valley. The trio, along with the two more recently added co-leaders Leah Meserve and bea deans-lake, focus their efforts on teaching young people the ins and outs of farming. Inspired by their experiences working with the youth conservation corps model, Many Hands seeks out young farmers from all over to come work on the farm as paid interns. Interns are hired for one-month periods, where they live in the farmhouse, work on the farm, and learn everything and anything the crew members throw at them. Interns range from vocational high school students, to college students interested in food systems or agriculture, to WWOOFers and members of the Pioneer Valley Community. Interns not only work on the land at Many Hands Farm, but also work in the fields of Simple Gifts Farm, Old Friends Farm, Atlas Farm, the Pharmacy Garden, Red Fire Farm, Mountainview Farm, and more. The crew members take trips to these farms with the interns, where they assist with tasks assigned to them by the farmers. 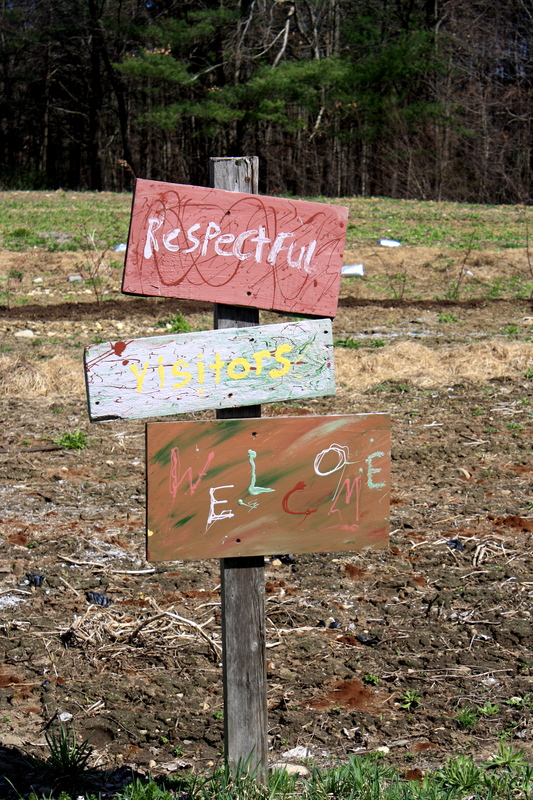 In addition to providing the youth with an enriching and educational farming experience, Many Hands Farm Corps offers community members a seasonal CSA. A share includes a variety of produce, ranging from tomatoes, bell peppers, and salad greens to kale, swiss chard, and roots vegetables. 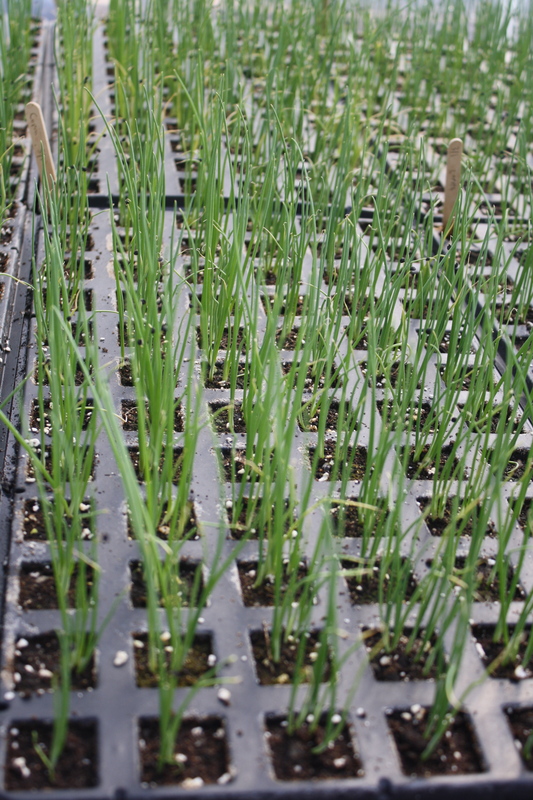 All vegetables are grown with the help of the interns. Many Hands is also known across the Valley for their produce contributions to the Northampton bar/restaurant, The Dirty Truth. Ryan explains that their relationship with the management at the Dirty Truth is strong. “Nathan [the manager at the Dirty Truth] influences what crops we will grow.” If the Dirty Truth is in need of a lot of potatoes, Many Hands will grow a lot of potatoes. This goes beyond the typical “here’s what I grew, buy it or don’t” relationship that is common at markets. Many Hands Farm Corps stretches the limits of what it means to be a farm. Their collaborative efforts to create educational opportunities for the youth, passion for creating sustainably grown agriculture, and desire to feed the community, make the farm stand out as a leader in the sustainable food movement. When asked about their favorite part about working at Many Hands Farm, nearly every member expressed that they truly enjoy working together. “We get to wear every hat there is,” says Eric. “Everybody has their hands in everything; the way we do things is pretty transparent,” says bea. Ryan explains that “we set high standards…we count on each other.” “The collaboration of different people expresses different interests,” Leah continues. Cooperating with each other and the land is certainly a trend among young farmers today. Support the next generation of farmers! Know Farms. Know Food. This entry was posted in Food Warrior Interns, On the Farm and tagged CSA, food warriors, Many Hands Farm Corps, Real Time Farms, samantha marsh, WWOOF, young farmers. Bookmark the permalink.